Sale at Dejoux MIniatures - up to 75% off! I'm so excited to have finished this project! 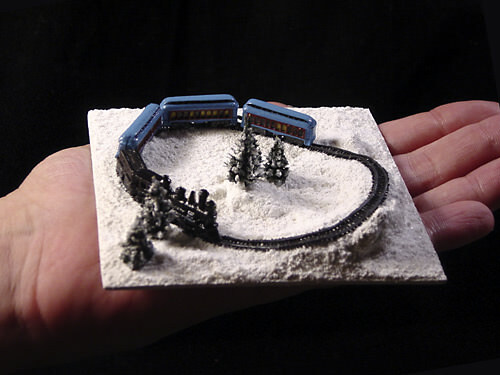 This tiny toy train was commissioned by a friend as a gift for her boyfriend, who is crazy about trains. He's also a big fan of the Polar Express book and movie. 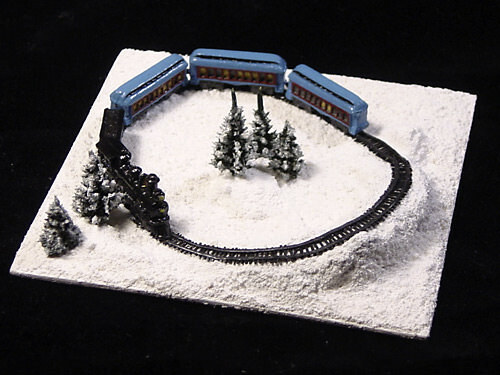 This miniature railroad layout is 4" square and fits in a clear lucite box for display. I made the track entirely out of polymer clay. It has 210 individually made (and attached) railroad ties, each only 3/16" (4.5mm) long. A hill and some trees complete the snowy landscape. I've archived this in my Minis Gallery. Click on the photos for a larger view and more detail. My goodness! What a wonderful gift. What a wonderful layout. You are amazing and yes, I am bowing to you. Thanks for sharing. Grace, what can I say except "wow!". 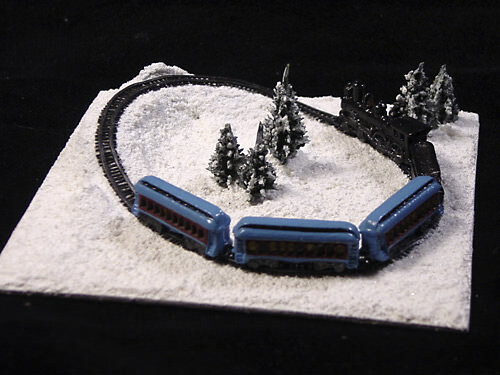 Wow at how beautiful the train turned out, wow at the tiny scale and of course, cat whiskers? wow wow! Do you mean you bundle them and made them into paint brush or you used 1 whisker at a time? Thanks for all the comments, everyone! 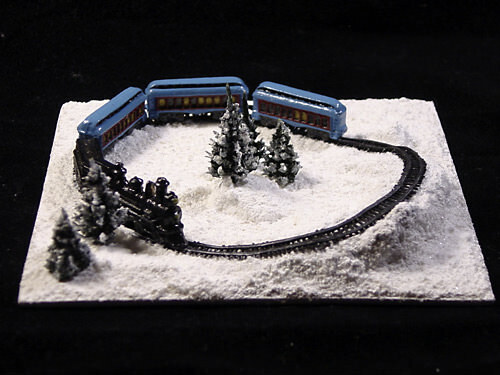 It was so fun making this, now I want to make more trains! I can't wait to find out if the BF likes it. Ha ha, Sherm! :P My poor kitty cat, I'd never do that to him! I just pick them up when he leaves them on my desk or work table, I knew they'd come in handy for something one of these days. The scene is really beautiful, you did an amazing job! I love the little snow covered hill! Grace, this is wonderful! 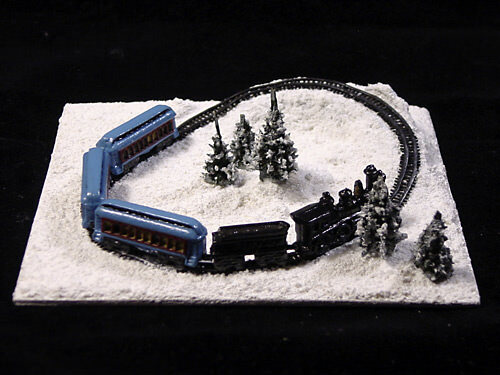 My Dad is a big train fan and we have several gauges of mini trains though none set up--we have Gauge N, G and Z! I love this!